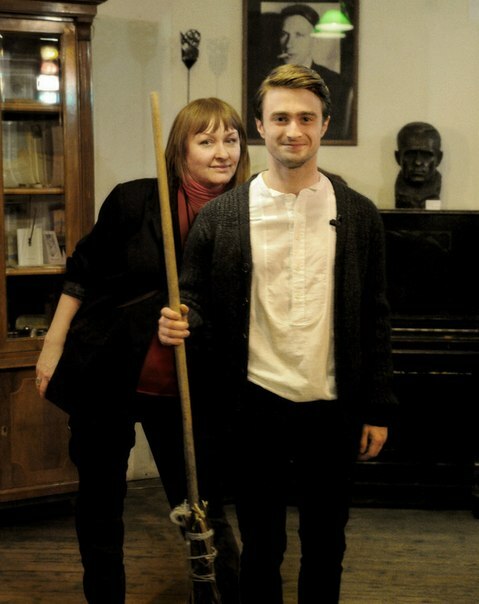 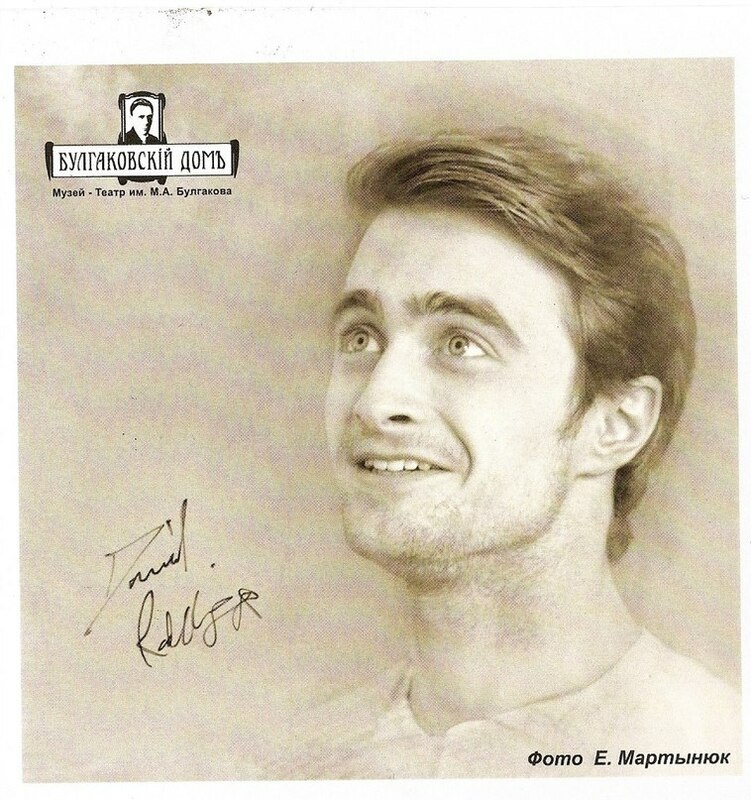 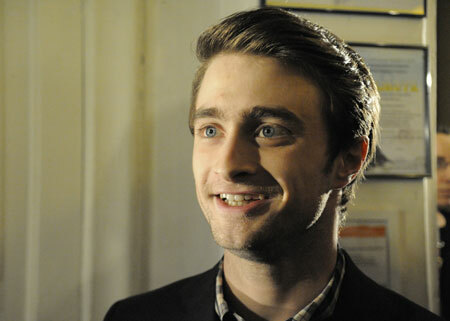 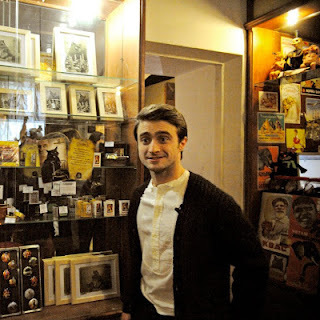 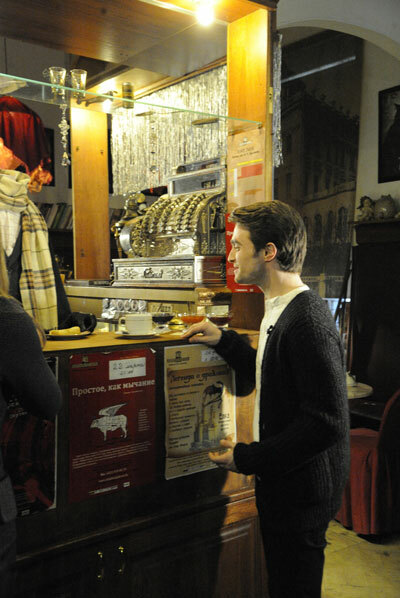 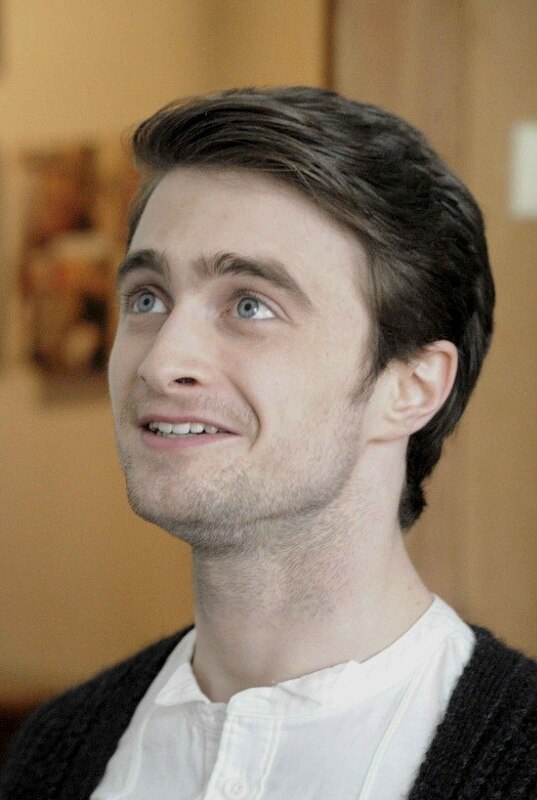 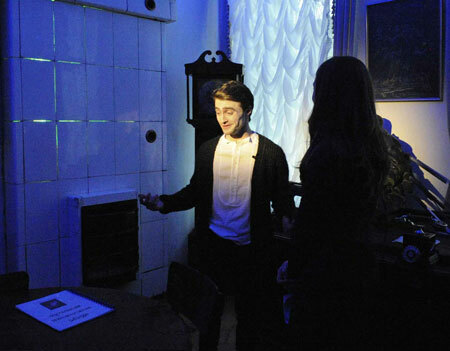 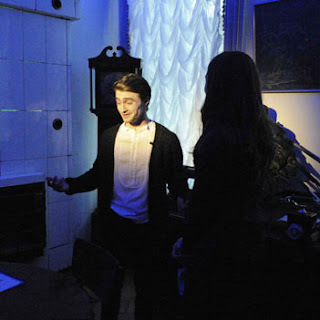 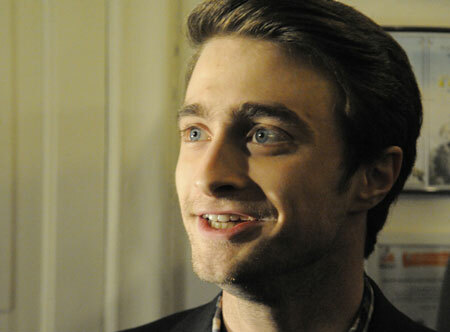 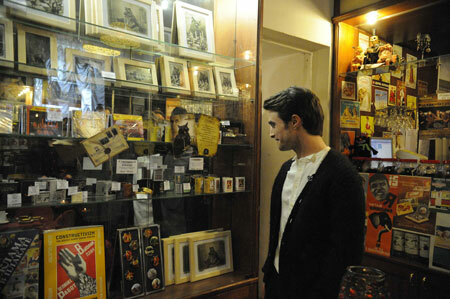 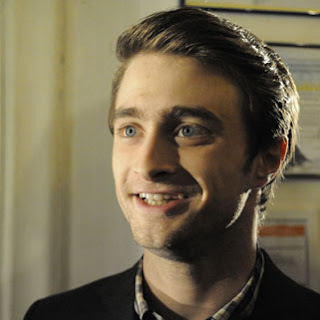 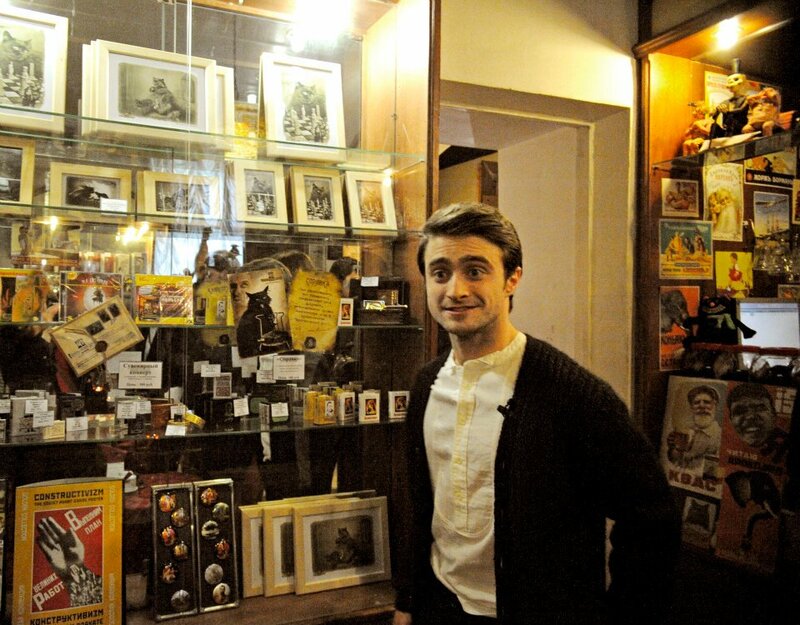 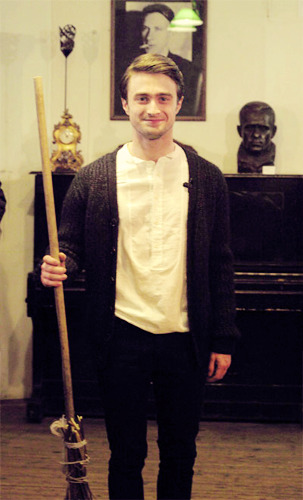 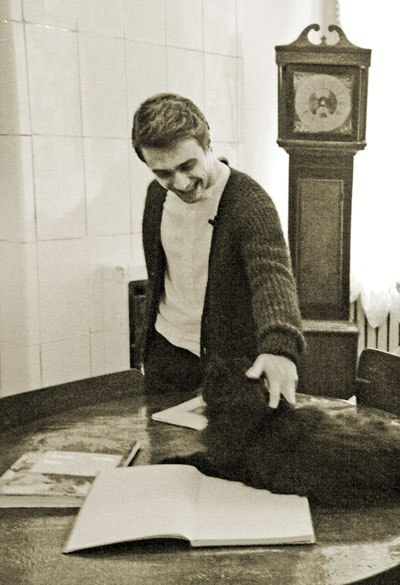 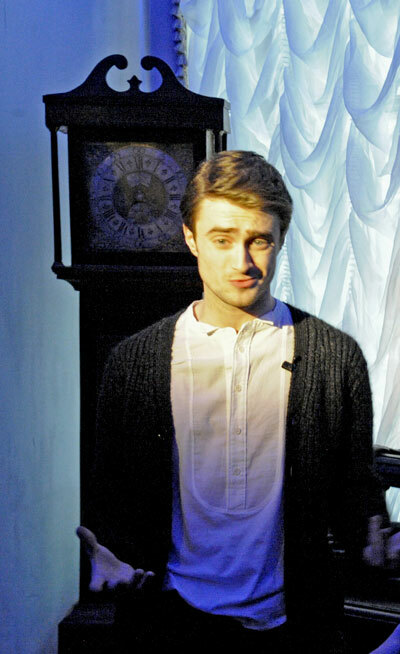 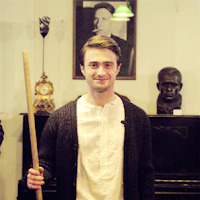 Daniel visited the Mikhail Bulgakov museum, while he is in Moscow, Russia to promote The Woman in Black (Женщина в черном). 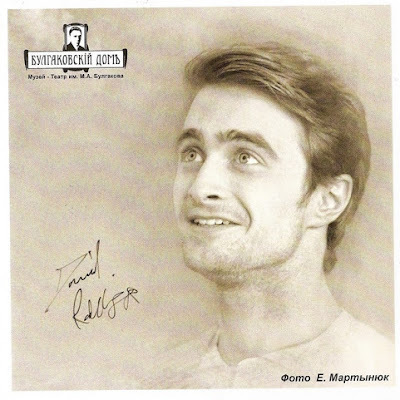 He left a signed portait (see below) which got framed and has a place in the museum (January 2013) plus he signed a broom. 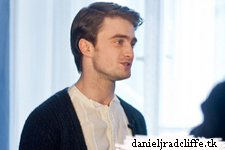 Update: 18th January 2017. 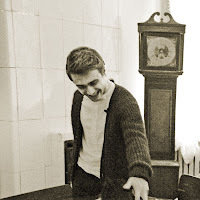 A photo by Kate Heifits. 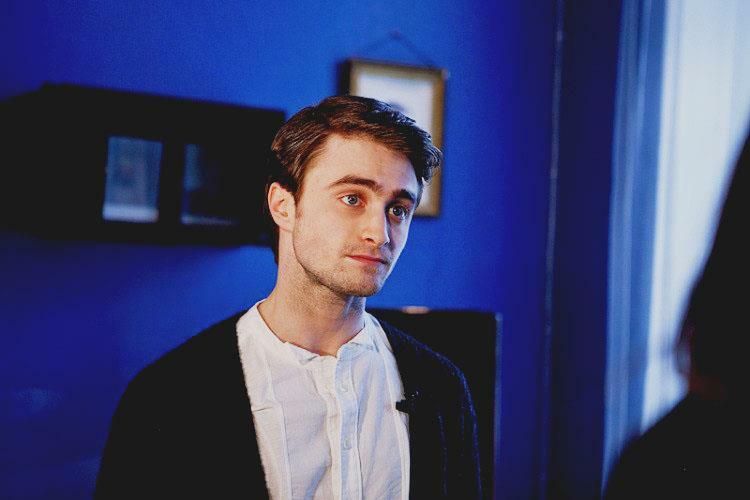 BBC Radio 1 interview: "I had a drinking problem"